Police are appealing for help to trace a woman from Milton Keynes wanted in connection with an incident of grievous bodily harm. 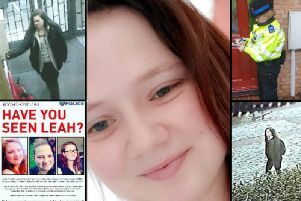 Stephanie Lowe, 19, of Neapland, Beanhill, is wanted in connection the incident which happened in Milton Keynes in June last year. She was due to attend attend Aylesbury Crown Court on the August 13 this year, but failed to attend. Lowe is known to have connections with Neath Hill and Central Milton Keynes. She is white, of slim build, with long dark straight hair and is around 5ft 9ins tall.